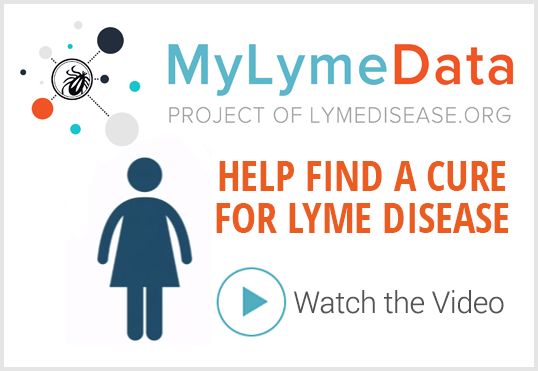 TOUCHED BY LYME: Known tick bite, no symptoms, what to do? Known tick bite, no symptoms, what to do? A concerned grandfather and I exchange emails. I received the following message yesterday: My 3 year old grandson (lives in Westchester, NY) had a tick discovered in his scalp last week. We are not sure how long it was there but the last time he was near some trees or shrubs or grass was 4 days before. My son removed it and sent it to a lab for examination. It was a “partially engorged” adult female deer tick which tested positive for Bb. He is presently asymptomatic, but what is the prevalent thinking on treatment at this point? His reply: Thank you for your response. Should an asymptomatic (after less than a week) 3 year old be treated with antibiotics prophylactically after being found with a positive deer tick on his scalp (probably there for 3 – 4 days)? What is the current treatment protocol? My reply: I’ve got to preface this by saying I’m not a doctor and this should not be construed as medical advice. I’m writing to you parent-to-parent. I’m the mother of a now 22-year-old daughter who became extremely debilitated by Lyme disease when she was 13. Three years in a wheelchair, lots of pain and misery. It’s been a long hard (expensive!) slog, but she’s much better now. Walking, feeling good, soon to graduate from college, which at one time we thought we’d never ever see. Your grandson lives in one of the most highly Lyme-endemic regions in the whole country. That area also has a high rate of tick-borne babesia, another serious illness that can be transmitted along with Lyme during a single tick bite. You know the boy was bitten by a tick that was infected with at least one dangerous microbe. It might have carried several more. Some people who are infected with tick-borne diseases show symptoms right away. Others may not show symptoms for months or even years. Yet early treatment is your best chance to knock the bad bugs out of the ballpark. Otherwise, they can burrow deep into the body, cause all kinds of hurt and be extremely difficult to get rid of. You ask about the current treatment protocol. Well, that depends on who you ask. Many doctors, following the lead of the Infectious Diseases Society of America’s Lyme treatment guidelines, would probably tell you to watch and wait to see if your child develops a bull’s-rash or other symptoms. The problem with that approach is that by the time symptoms show up, you’ve lost that precious window of opportunity to get the upper hand on the spirochetes before they get the upper hand on you. Many children suffer lifelong disability because their parents followed their doctor’s advice to “watch and wait” for symptoms to develop. All I can tell you is what I would do if I found myself in your place. I’d move heaven and earth to get my little guy to a Lyme-literate MD affiliated with the International Lyme and Associated Diseases Society (ILADS). They sometimes have a long waiting list for appointments. But many of them, if you say your child has recently been bitten by a tick that tested positive for Lyme, will give you a “recent tick bite appointment” right away. Then, you can explore treatment options with somebody who understands the importance of not passively waiting for symptoms to show up. Good luck to you, your whole family, and especially, that precious little boy. What makes Australians sick after a tick bite? Good advice. My symptoms did not show up until a month later and were not recognized. In fact, they did not get terrible for 3 years. By then I had missed the window of opportunity for an easier fix and am still needing treatment after more than 10 years. Some will call this post treatment lyme, supposedly an autoimmune condition, but not anyone who treats thousands of patients. They know, and I know, that it is the same symptoms and they respond to the same treatment. When antibiotics are withdrawn, it knocks people down again. You don’t want this to happen to a child, especially after knowing about the tickbite from an infected tick. And don’t let anyone say this was not long enough to get the infection from the tick. Plenty of people have gotten in a lot less than 24 hours. Some ticks carry these germs already in their salivary glands and transmit it quickly. Is there a way to reach this woman? I had a good LLMD in that area who didn’t have an insane wait. Definitely get treatment. I’ve been through a horrible four years battling lyme disease for my daughter and I. Two of those were wasted going to doctors and specialist and hospitals and heart doctors to find out what was wrong with us! A wasted 2 years!!! 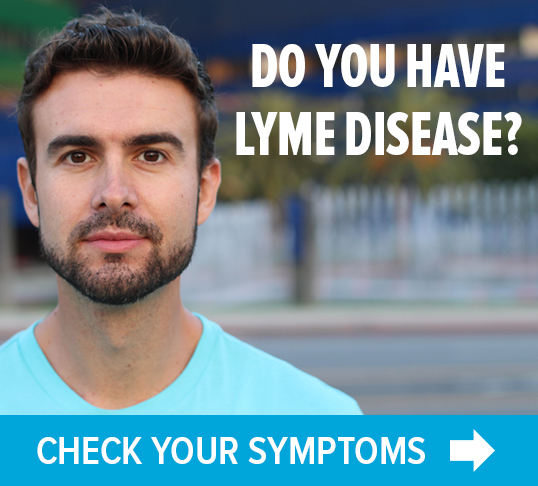 You know the bite was recent and the tick is positive for lymes. Get on it quick and get it over with or expect alot of agony. Be proactive and take the advice given above. GOOD ADVICE!!! PLEASE DO NOT WAIT ONE MORE MINUTE TO WAIT AND SEE IF YOUR LITTLE ONE DEVELOPES THE RASH ETC… THAT MAY NEVER HAPPEN BUT WHAT MAY HAPPEN IS THE DEVELOPEMENT OF SEVERE AND I MEAN “SEVERE!! !” FLU LIKE SYMPTOMS THAT TAKE IT FROM ME, AND I WAS 41 YEARS OLD AND STRONG WHEN IT HAPPENED, DARN NEAR KILLED ME RIGHT THEN. NEVER MIND THE HORRIBLE SYMPTOMS THAT HAVE PLAGUED ME ALL THIS TIME. THAT WAS 23 YEARS AGO.. I AM UNCLEAR AS TO EXACTLY WHAT DAY IT WAS AFTER I FOUND THE TICK THAT MADE ME SICK BUT IT WAS WITHIN 2 WEEKS AFTER THAT THE “FLU” HIT…I HAD NO IDEA THAT THIS WAS A SEVERE SYMPTOM OF TICK BORNE ILLNESS. I THOUGHT IT WAS THE FLU!!! SO I DID NOT ASSOCIATE IT WITH THE TICK BITE AND TO THIS DAY NEITHER HAVE ANY DOCTORS I HAVE SEEN..SO PLEASE DO NOT WAIT ANY LONGER TO FIND A DOCTOR WHO IS VERY WELL VERSED IN TREATMENT OF TICK BORNE INFECTIOUS ILLNESSES…YOUR LITTLE ONE COULD BE HARBORING THE BUGS THAT MAYBE DOING HORRIBLE DAMAGE RIGHT NOW AND YOU WOULD NOT KNOW IT..
you definately need to have your son treated as the sooner the better. I think it was in conneticut where a law was passed to permit pharmacists to administer doxycycline without a prescription when someone tells them they have been bitten… this is how important early treatment is considered in that state. Dont wait for symptoms to show up. He definately has lyme. He may be fortunate in that his body may know how to fight it off but there is no way to know that for sure. He needs 30 days of treatment and then you must be also on the look out for co-infections that doxy may not help.